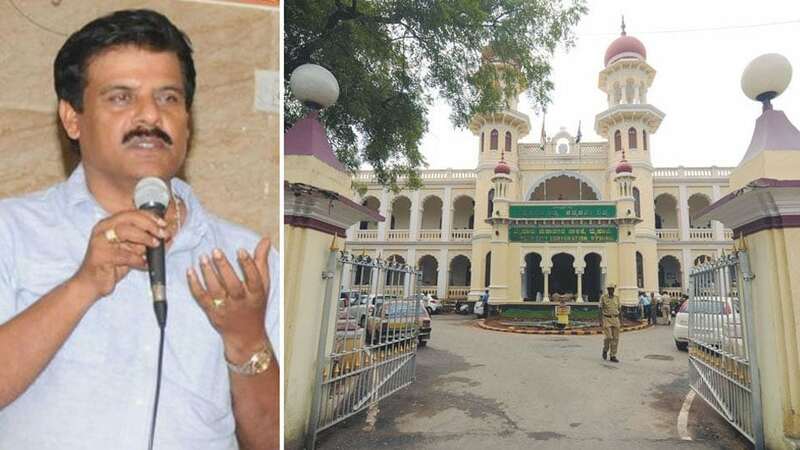 Mysuru: Mysuru City Corporation (MCC) officials are harassing the traders by deliberately delaying renewal of Trade Licences and demanding unnecessary documents, alleged former Mayor and BJP leader Sandesh Swamy. He was addressing a press conference at a private hotel here last morning and said that the MCC officials and middlemen were creating problems to the traders as they were asking for documents that are not required for renewal. He said that the Corporation was losing nearly Rs.8 to Rs.10 crore as the Corporation records showed that there were only about 30,000 traders while statistics revealed that there were about one lakh to 1.5 lakh small and medium traders in city. According to Sandesh Swamy, it was decided at the MCC Council meeting some time back that for renewal of Trade Licence all that is required to be submitted is Khata and tax receipt. But the officials were harassing the traders to produce the documents that were submitted while they had applied for the new Trade Licence when they had started the business. He also revealed that as most of the traders had GST Certificate (Goods and Service Tax), no other documents were required since it entails all the documents while it is issued. Earlier, Trade Licence was being issued by Health Inspectors but now the Revenue Inspectors have been authorised to issue the licences and he charged that they were the ones who were harassing the traders. He urged the Mysuru City Corporation authorities to stop harassing the traders and also to increase the revenue by including the remaining traders that come under MCC limits.